The Ukrainian revolution has been very bad for business in the country. But for Igor Kolomoisky’s Privatbank there has been compensation of almost a billion dollars in state funds: publicly, rival Ukrainian commercial banks call that favouritism; privately, Ukrainian business as usual. Privatbank is Ukraine’s largest commercial bank. Since the replacement of the Ukrainian Government in February, and the start of the International Monetary Fund’s (IMF) financial aid programme in April, Privatbank has been the largest beneficiary of what the IMF and the Ukrainian Ministry of Finance are calling Emergency Liquidity Assistance (ELA) to the country’s banks. Published measurements of Privatbank’s share of ELA range from 36% to more than 40% of the additional financing which has flowed out of Ukrainian state funds into the commercial banks. Just how much Kolomoisky benefits, along with related companies to which Privatbank lends much of its loan book, is one of the control operations being performed this week, as the IMF’s Ukraine mission starts its first inspection since the IMF transferred $3.2 billion to the National Bank of Ukraine on May 7. 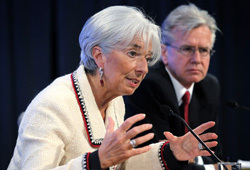 The IMF mission leader in Kiev this week is Nikolay Gueorguiev. Two weeks ago, he indicated that he will be discussing with his counterparts at the National Bank of Ukraine (NBU) and the Ministry of Finance what reports the IMF expects to gather by next month on stress testing of the condition of Privatbank and the fourteen other major domestic banks, which are the IMF’s priority targets. 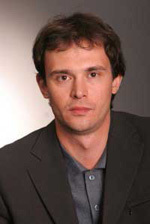 The technical criteria, selection of independent auditors, and the deadlines for reporting stress test results Gueorguiev says he is hoping to finalize in Kiev by the weekend. For Gueorguiev’s remarks, read this. Because the technical terminology used by the IMF, NBU, Finance Ministry, and the English-language markets can be imprecise and slip from one balance-sheet line item to another in translation, the NBU was asked to confirm what volume of NBU financing for the Ukrainian commercial banks has been provided for February, March, April, May, and the first two weeks of June? Also, what value has been received by Privatbank and its associates? The NBU issued a wordy answer. “In accordance with Article 7 of the Law of Ukraine ‘On the National Bank of Ukraine’, the National Bank of Ukraine acts as lender of last resort for banks and arranges a refinancing system to support liquidity in the event of unforeseen factors that may affect the activities of the bank, and if they have exhausted other options, refinancing. At present, the policy of the National Bank of Ukraine is aimed at ensuring transparency and equal conditions of access to refinancing instruments for the various banks”. Because the IMF rule requires it, the Finance Ministry was asked what its record-keeping shows of how the ELA cash is being spent. The ministry responded that it’s up to the NBU to answer. Public reporting by the NBU for the January-May period indicates that a total of UAH 104.8 billion (about $8 billion) in public funds, including part of the May payment from the IMF, has been given to the Ukrainian banks under ELA to support their liquidity. The handouts started to accelerate when Stepan Kubiv was appointed by the new government to be governor of the NBU on February 24. 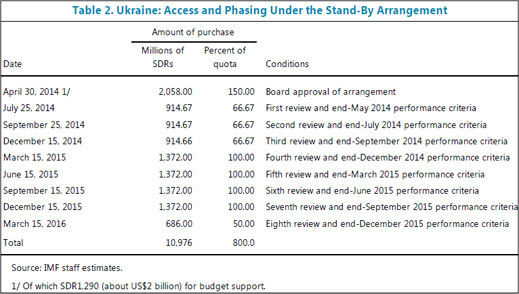 Before he arrived, the NBU had been spending an average of UAH15.4 billion on ELA per month. After Kubiv took over, the average monthly outlay jumped to UAH 24.7 billion; that’s a growth rate of 62%. Kubiv’s career record in doing things like that before, and what IMF officials knew of it, can be followed in this report of June 6. On June 18 Kubiv was replaced by Valeria Gontareva (right), a banker and securities broker associated early in her career with Societe Generale and ING, and most recently with a fund called Investment Capital Ukraine and a new Ukrainian bank called Avangard. The registration of the fund’s control holding company is in the British Virgin Islands. The identities of the controlling shareholders of the fund and the bank are not known, yet. Under Kubiv until mid-June the Ukrainian business press has been claiming the ELA programme was biased in favour Privatbank. According to one report of April 6, in Kubiv’s first 35 days on the job Privatbank received UAH 9 billion out of a total ELA of UAH 21.5 billion. That is 42%. Another press report of April 12 claims “the largest recipient of the National Bank refinancing this year is PrivatBank (12 billion UAH). In second place – [state savings bank] Oschadbank (6.6 billion UAH), the third, Delta Bank (4 billion UAH).” The following tabulation shows the refinancing amounts outstanding to each of 28 Ukrainian banks. Privatbank leads on each monthly date. Since Oschadbank and Ukreximbank are both state entities, Privatbank moves far ahead of its commercial rivals. 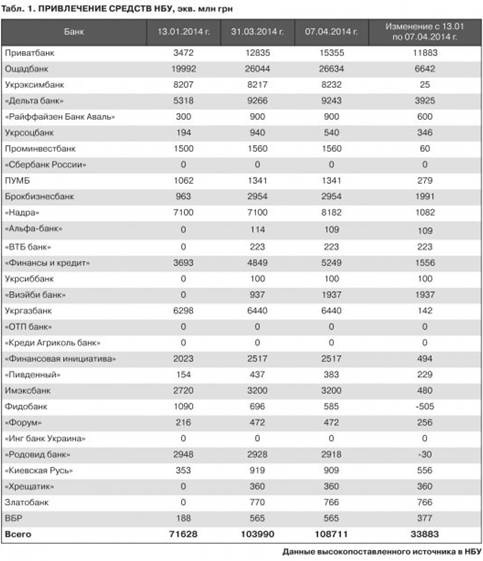 The fourth column shows the amount of increased ELA or liquidity which Privatbank and the other banks collected from the NBU after January 13. The proportion of this increase in Privatbank’s liquidity payments turns out to be 35% of the increase in NBU’s payouts to all the banks. 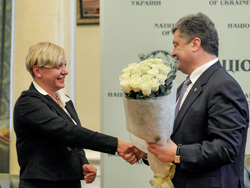 The independence of the Finance Minister, Alexander Shlapak (right) – also appointed in February by the incoming government – has also been questioned by Ukrainian and international banking sources. Shlapak acknowledges that between 1994 and at least 1998 he was an executive at Privatbank’s Lviv branch, and then vice-chairman of Privatbank in charge of its western Ukraine operations. Since then Shlapak has been in and out of Ukrainian government. From 2010 until his February appointment to be finance minister, he was a senior executive at IMG International Holding Company. In the Ukrainian records, this is a 6-year old insurance brokerage and fund manager, with a conglomerate of insurance companies in Ukraine, Russia and Kazakhstan. The records also reveal that while Shlapak was in charge at IMG, an investment in Oranta Insurance Company, a related party, disappeared when the latter lost its operating licence and was ordered into bankruptcy administration. Oranta has been part-owned by the controversial Kazakh business figure, Mukhtar Ablyazov, and by a Cyprus front company controlled by Victor Pinchuk. At the time Pinchuk was also operating Rossiya Insurance in Russia, but it has subsequently collapsed into bankruptcy amid allegations of cash stripping through fraudulent reinsurance schemes. Who controls IMG is not known. Shlapak was asked if he continued to have a business association with Privatbank after he left its employ. His spokesman refused to say. The bank itself claims the related-party loan exposure is minimal. According to Serga (right) last week, related-party loans by Privatbank amounted to just 1.78% of its equity capital. Right now public assistance means IMF-funded ELA. So is it IMF policy to let Shlapak bail out Privatbank as Kubiv was doing? Fund officials were asked what volume of ELA financing Privatbank has been getting since the IMF programme began in April, and what security in shares or other assets has been taken by the NBU for these outlays.